So stoked that @thejulietsimms video for "End of The World" has finally been released! We had a great time filming this video and I think you guys are gonna love it! Thanks to Director @Joshuashultz makeup artist @nikkinouvelle and everyone who worked so hard to make this video happen! 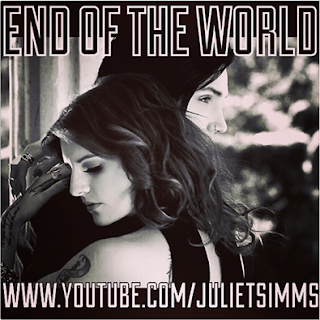 Go check it out on Juliet's official YouTube channel NOW!